Is your pest control safe for babies? Depending on the type of insecticide and its application, it would be best for you and the baby to remain out of the treated premises for a couple of hours. 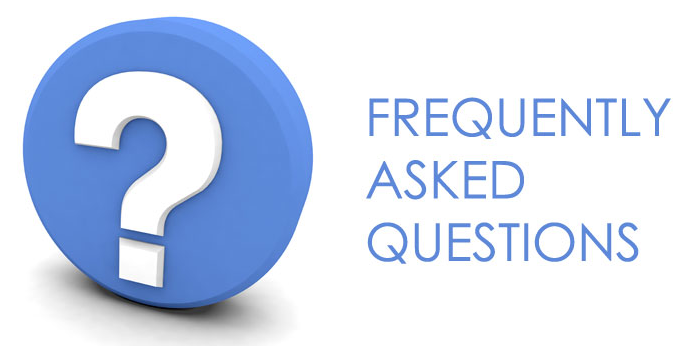 What is the procedure of a visit by one of the pest control experts? As soon as your appointment is scheduled, we will send an experienced and certified professional, who will decide on the type of poison and bait to be used, depending on the pest. You will also receive Risk and COSHH assessments (if applicable) and a written report with information about the service. What equipment does your company use? The chemicals we use are certified and of high quality. We treat bed bugs, mice, rats, wasps, fleas, moths, cockroaches, ants, spiders, silverfish, flies, woodworm, dust mites, carpet beetles and other insects offer fumigation treatment. Yes, we work with all kinds of clients and properties. How quickly will you respond to my problem and how soon can my home be treated? Our client care centre operates 24 hours for your convenience, you can call any time for questions or bookings. Usually we can be there within the hour, if not certainly in the same day. However, if the nearest appointment available is a couple of days, we will provide you with information on how to deal with the problem in the meantime. What kind of training have the pest technicians passed? 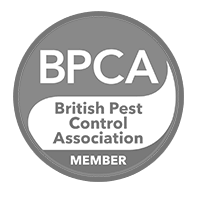 The exterminators working for Pest Killers UK have passed the Safe Use of Pesticides, BPCA Training courses. What will a pest control technician do for me? They will Inspect your property, evaluate damages and size of the infestation. Afterwards, he will treat the affected areas and provide you with the needed information to prevent further re-infestations and advice. Do I have to leave my home when it’s being treated? Do I need to treat my property monthly? No, you don’t. The technicians have a strict schedule when treatments are needed. In no case are monthly visits required. If you have doubts about what kind of roach, spider or rodent is infesting your property, the best and most sure way to identify it is by scheduling an inspection with one of the professional pest control specialists. How serious does the pest infestation have to be to get professional help? Pests reproduce extremely fast and they are even better at hiding from our sight. Seeing an individual one is almost always a sign of an infestation on the premises. When people try to handle the problem themselves, they might get the ones they see, but are usually inefficient in getting rid of the entire population, as it’s always hidden. Can I use pesticides myself? Most pesticides can only be bought with a professional license. Absolutely not. Many insects have a vital part in our ecosystem, we treat only the ones that pose a threat or nuisance to our customers. Is there a connection between pests and asthma in children? Yes, bed bugs and cockroaches are known to trigger allergies and even lead to developing asthma in children. Their saliva, droppings and decomposing bodies contain allergens which trigger allergies and worsen asthma attacks. What do I need to do before a bed bug treatment? Remove all bedding and linens sheets, pillowcases, duvet covers and etc. Bag them all up in the same room so the infestation doesn’t spread to the rest of the house. Hot wash on 60-90′ C. Proceed doing the same with clothing around or under the affected areas, especially items stored under the bed –must be emptied and their content must also be hot washed. Hoover meticulously all areas of the bedroom including both sides of the matresses. You will be provided with further instructions before and after the scheduled bed bugs treatment. How do I prevent mice from entering my home? Sealing all visible cracks, gaps and openings is the best way. However, full prevention is rarely a possibility. I have small bite marks on my skin when I wake up in the morning, why is that? It’s most probably a bed bug infestation. Look for other signs such as small dirt’s on your sheets, that is what their droppings look like. If the inside of my cabinets/cupboards are treated, do I need to wash them after the service? No. You can clean your cabinets before the treatment, if so please remove any loose shelf paper. Why does it take more than one treatment for bed bugs and rodents? These pests have different life cycles than other target species. During certain stages of their life cycles, treatments work only partially, so we have to catch them between these dormant cycles in order to fully manage their population. 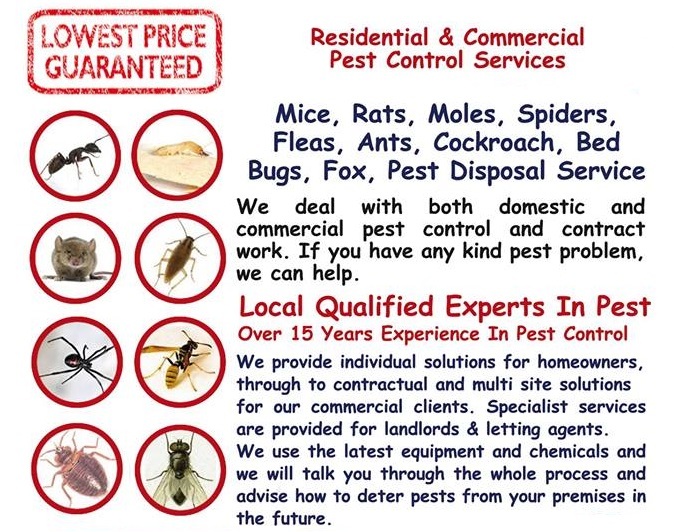 Yes, we are always happy to give you a free quote over the phone or by email for your current pest problem. Pest Killer’s UK Pest Control do offer a same day emergency treatments when you need to take action as soon as possible. You can reach us 24/7 over the phone or online to schedule your emergency service. Sending a pest exterminator to your property will be our top priority. How to book a service with you? 1. If you only want to receive a quote, go to our contact form. 2. Got any additional questions? Call us 24/7 on our number 02080880503 Or dial 07398057383.